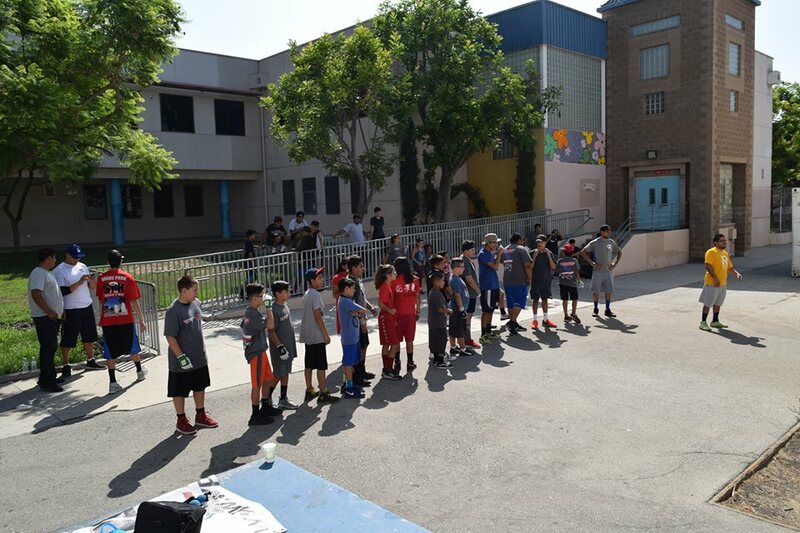 Los Angeles, CA, 8/1/17- JR WPH proudly hosted a junior handball clinic for 40 junior handball players for the fourth consecutive summer at the JR Vasquez Small Ball CA State Doubles Tournament in Los Angeles, CA. Big Ball specialists Manuel Yep and Steve “Bambi” Bermudez kicked off the clinic with a warm-up and light jog, followed by Big Ball instruction for the youngsters, demonstrating the proper footwork to hit kill shots. 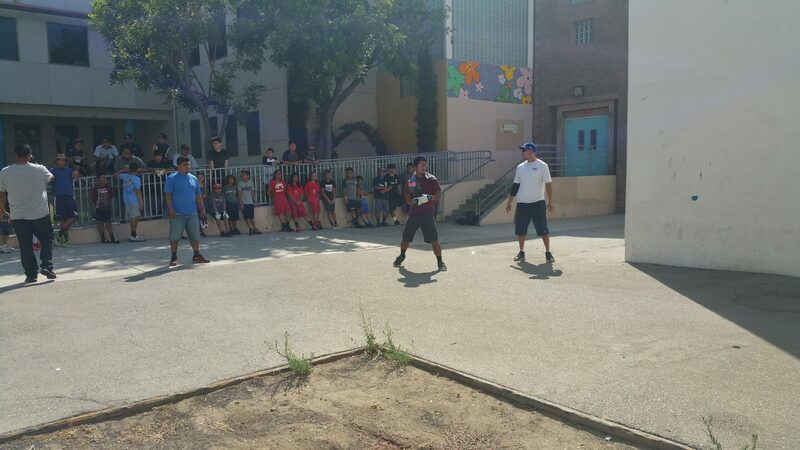 Race 4 Eight pros Shorty Ruiz and Abraham Montijo coached the second half of the clinic, focusing 3-5 shots rallies and Small Ball stroke technique and strategy. 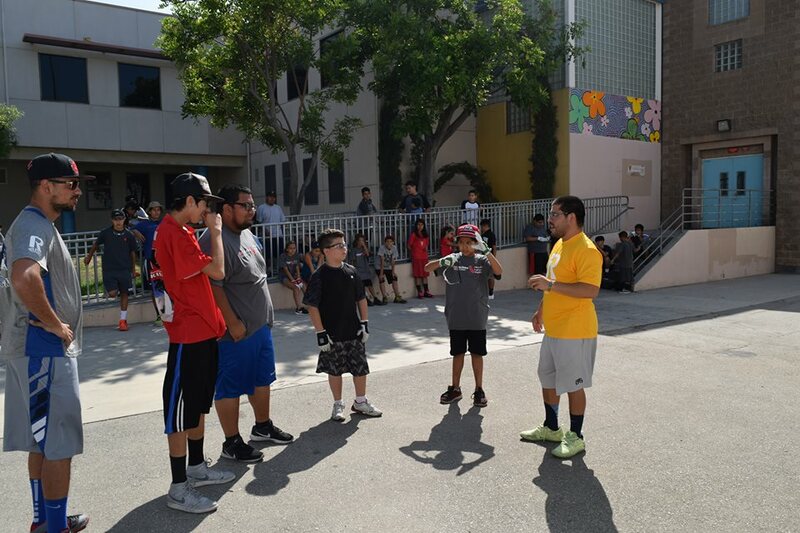 The clinic concluded with a discussion on the importance of eye protection and good sportsmanship. Thank you to all of the coaches, Tom Flores for the pictures and JR Vasquez tournament director Tom Martinez.